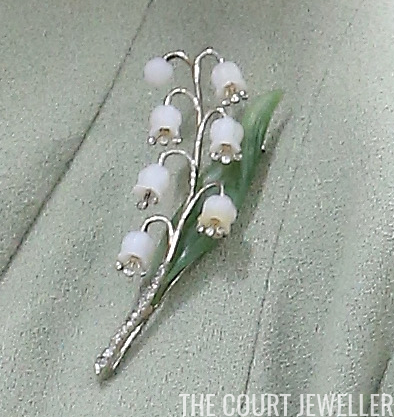 The brooch was made by Fabergé to resemble a delicate spray of lily of the valley. It was given to the Queen Mother by Soviet leader Nikita Khrushchev during his official visit to Britain in April 1956. Khrushchev, who visited alongside Nikolai Bulganin, presented lavish, bejeweled gifts to all three of the senior Windsor women during the trip. To my knowledge, we don't have any official record of the Queen Mother wearing the brooch. These sorts of diplomatic gifts can sometimes be difficult to wear, because they have to be handled in specific, tactful ways. For example, the Queen received a sapphire and diamond brooch during the Khrushchev visit; in 1959, one newspaper reporter explained why an official gift like that brooch might not frequently be seen in public: "Some they wear, others are tucked away in vaults and seldom seen, such as the diamond brooch Nikita Khrushchev personally chose for the Queen before his visit to London in 1956. This will probably appear again only on Mr. Khrushchev's next visit. Official guests are always complimented by seeing their previous gifts on display." A generation removed from its original gift, though, the brooch's political significance has become less immediate. 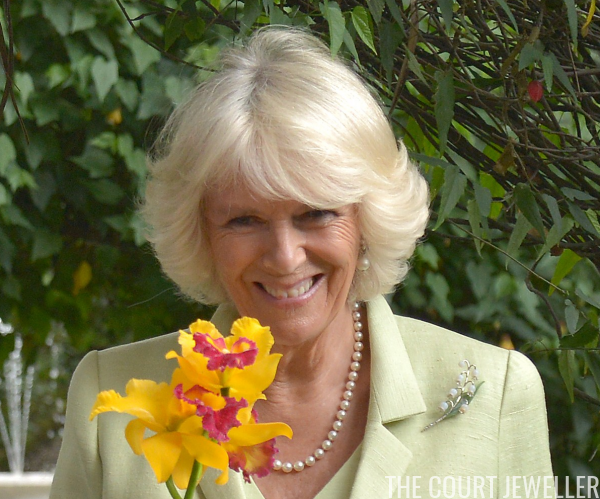 Today, it's more decorative than diplomatic, and it is now a favorite piece of the Duchess of Cornwall. 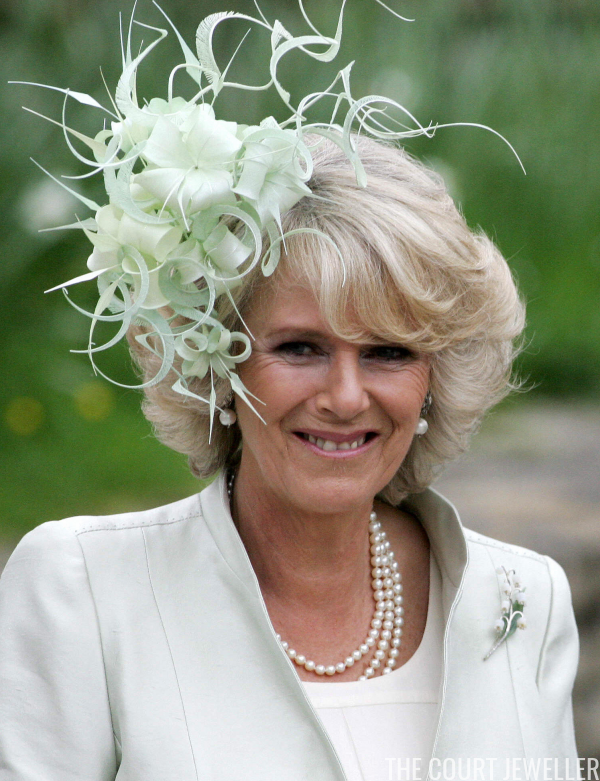 She has worn the lovely, delicate brooch for many significant occasions, including the wedding of her daughter, Laura, in 2006. (It was a particularly good choice for a wedding. In the language of flowers, the lily of the valley symbolizes marital happiness.) 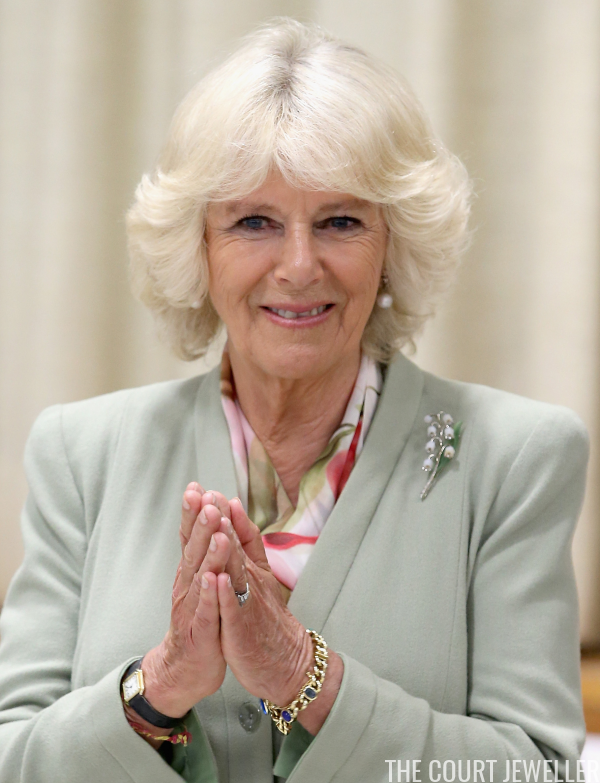 Camilla has also often taken it on trips abroad. Above, she wears the brooch in Bogota during a five-day visit to Colombia in 2014. 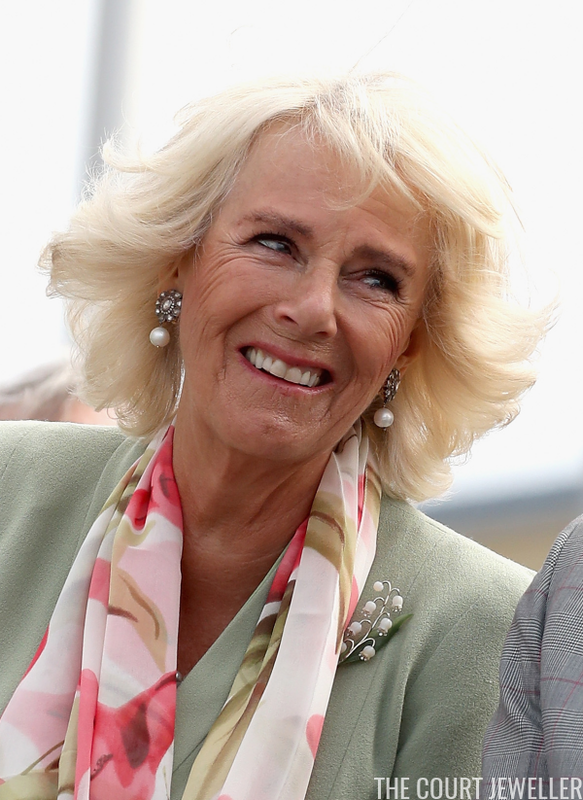 Camilla often wears the brooch against light green or cream-colored jackets, as she did above during a visit to Prince Edward Island in October 2014. 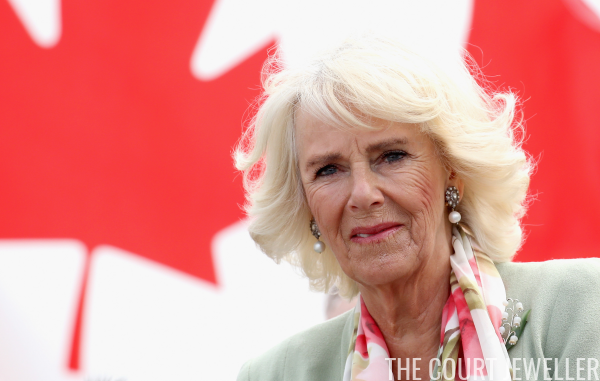 She wore the brooch with the same outfit in Nunavut in June 2017, an occasion which gave us a particularly good look at the brooch's delicate floral design.